Getting kindergarten students to sit in one spot and read for an extended period of time can be a daunting task. I’ve been interested in moving to an “independent reading” model in my classroom instead of centers/Daily 5, but I’ve struggled to build the reading stamina to 45-60 minutes. But... in my final year of teaching, I think I’m finally getting somewhere. My students are directed to find a comfy spot in the room and read their book baggies which are filled with 8-10 texts that are on their independent and instructional level. 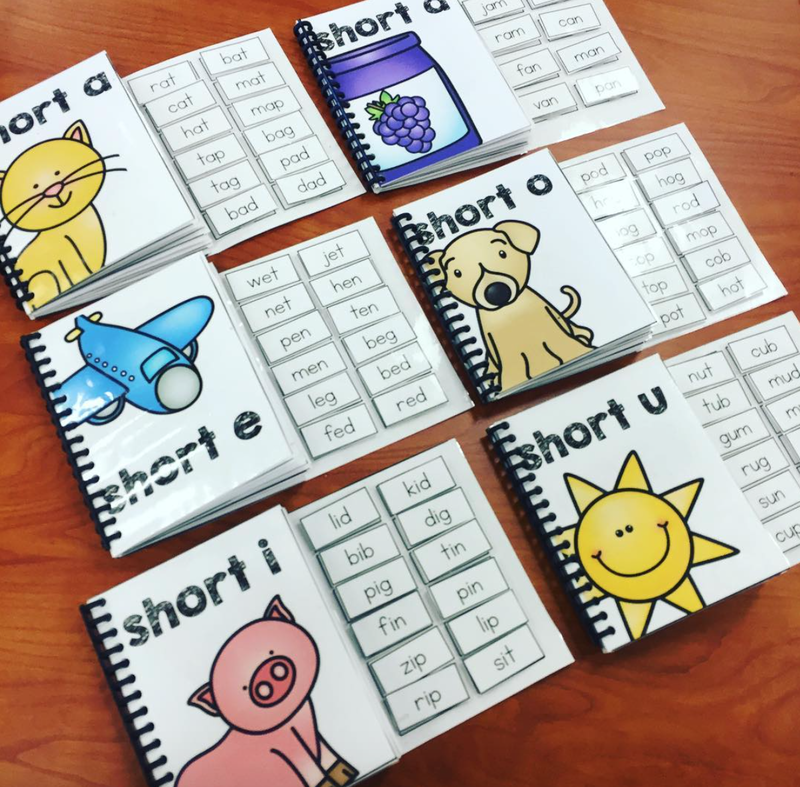 They are expected to read the whole time and can move to the word work table to take a brain break while working on differentiated phonics skills. Once they’re done with word work, they go back to their books and continue reading. I created these interactive, adapted CVC books for my students who needed a little more engagement while reading. 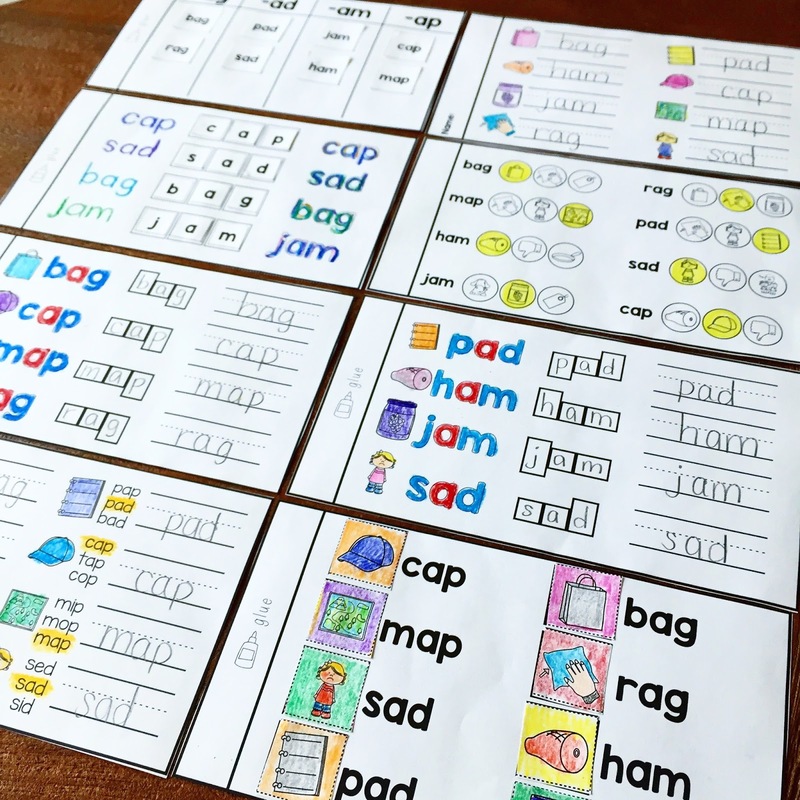 These students read the books in their baggies, complete word work activities when they need a brain break, and continue reading throughout the block with these laminated books. I’m excited that my students are reading, building foundational phonics skills, and building their stamina all at the same time!! The best part is they LOVE reading them and their confidence in reading has gone up so much. Below is another adapted book set that I created for my students to use during independent reading. My students are expected to complete a graphic organizer at least 3 times throughout the week during independent reading. All of the graphic organizers have been directly taught so there’s no confusion as to how to complete it. Some students may take 2-3 days to complete 1 graphic organizer or reading response which is why I only make them complete at least 3 per week. Has anyone else tried independent reading in kindergarten? I would love to hear of more ideas! Want to know how I made these books? Click here to see a video tutorial of a similar book! I use these tools DAILY!